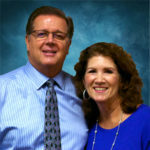 Bishop Bart Pierce serves as the Senior Pastor of RCC. He and his wife, Coralee, have been married since 1970 and have three children and six grandchildren. To many, he is Bishop Pierce, but to his church, he is Father – a voice of wisdom, hope, encouragement, and vision. Bishop and his wife have a calling to express the reality of God’s Kingdom through compassion ministry. For over thirty years it has been their heart to reach out to the lost and hurting, which they have done by pioneering the Ministries of Compassion (MOC). They are also passionate about seeing this generation realize their purpose and pursue their destiny in God. Bishop Pierce also provides apostolic oversight to churches in the US as well as several countries of the world. He has a passion for seeing the body of Christ unite for the advancement of the Kingdom of God. He works to promote unity in the city of Baltimore by fostering relationships with area pastors and churches. He is in his element when he speaks to leaders and both practices and teaches personal wealth generation for the advancement the Kingdom. Bishop Pierce has authored three books: Seeking Our Brothers, Cover Me in the Day of Battle, and The Bribe.